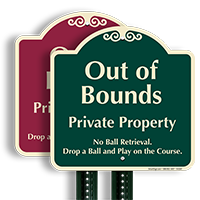 Let golfers know that your property is out of bounds and ball retrieval is not permitted. 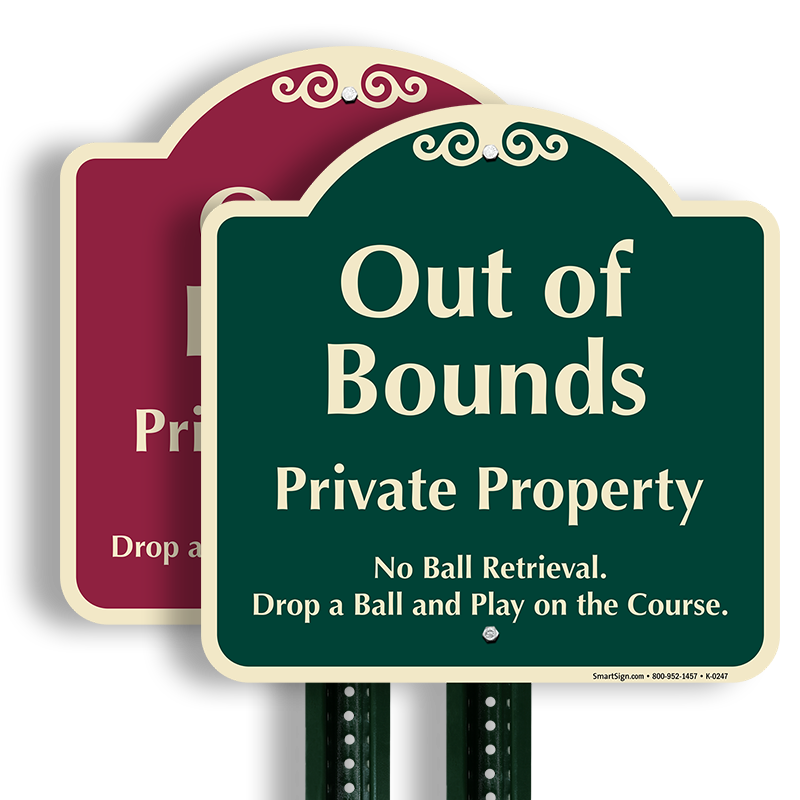 Install this designer Private Property Sign and make your rules clear. 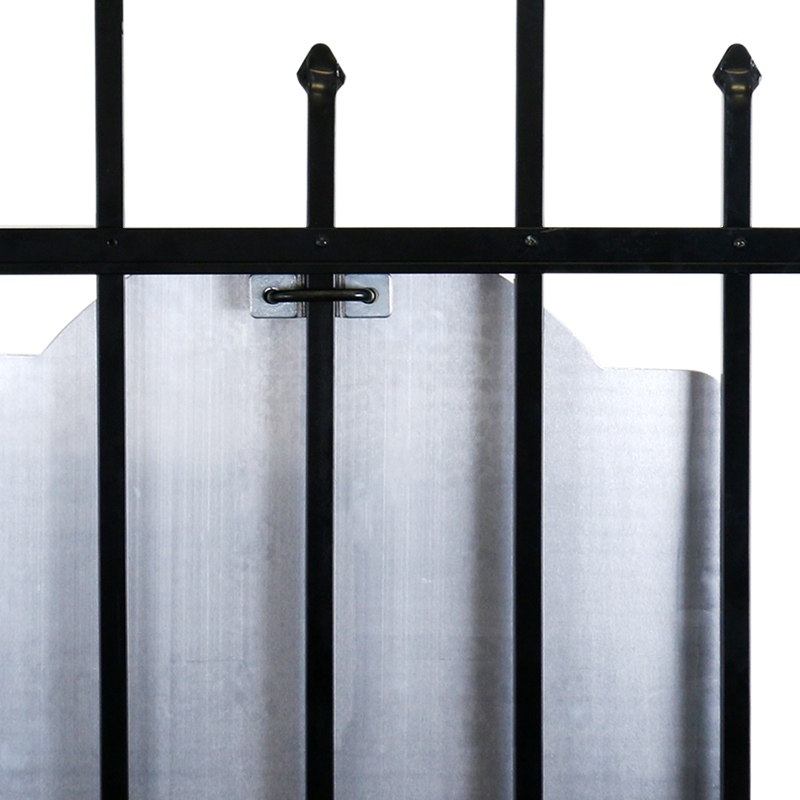 • Elegant SignatureSign is made from premium quality aluminum. 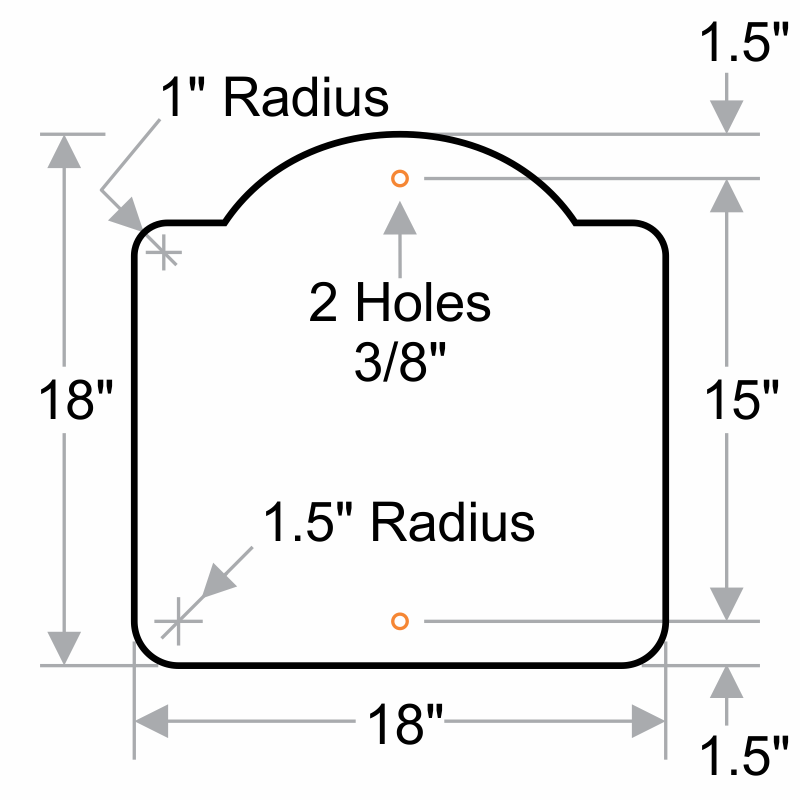 • Easily install sign onto any post or wall with the help of pre-drilled holes. Professional look! Beat my expectations! Perfect size and stands out where I need it to! 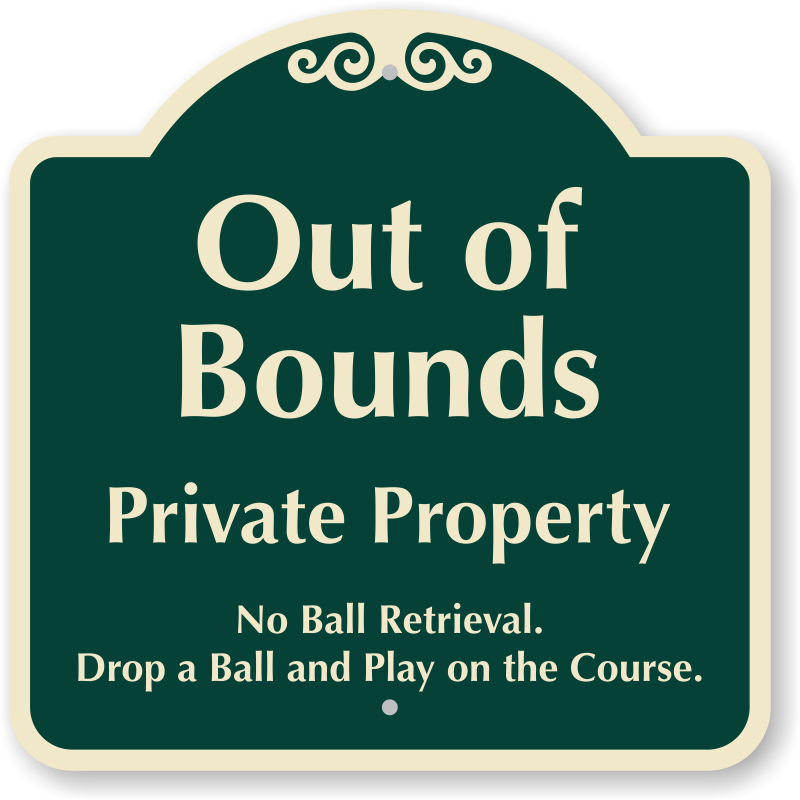 Hoping to deter golfer trespass! Nice quality sign! 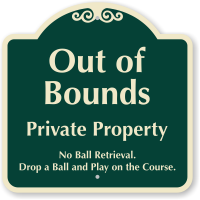 States EXACTLY what I needed to deter golfers from invading my yard & landscaping to retrieve their balls. Excellent Quality and they work! Excellent Quality! They Work too! Ordering two more for my neighbor! These are very classy, excellent quality and get the point across respectfully. So far the carts have stayed off our lawn!